As a coach, we spend hours planning training and carefully crafting phases many months ahead in order to reach optimal fitness at the right hour on the right day. Though we are always quick to use social media or other means to celebrate success of athletes (PBs, podiums, victories or champions), it is often the uncelebrated stories which should earn the most recognition. Every coach knows that plans rarely turn out as intended; however, they can act as a blueprint to fall back on when there is a sudden “change in direction” and it becomes time to find another route to the objective. Below, I outline the story of an athlete who had just started working with me and had lofty, yet attainable goals, which required a limited margin for error. Training was progressing really nicely; we had done some great winter preparation work and my athlete headed out to do some routine XC skiing (skinning) as part of his training. He had done this before and it was a great boost to fitness. Then, along came the fateful text that all coaches dread: “Coach – I’ve hurt myself!” (or words to that effect!). Coach Philip Hatzis: What went through your mind in the short time after your skiing accident? Athlete Chris: It was immediately obvious to me that I had completely severed my pectoral from my arm. I knew it was serious and I was devastated. I think because it was so serious my mind was just filled with getting down the mountain and into a hospital as quickly as possible. There was not much room for anything else at that time. But, guess what. It never did. Philip: Were there any key or pivotal points in your rehabilitation? Chris: There were a number of pivotal points in my rehabilitation. The first occurred in the hospital hours after the crash. I had just been told that I needed surgery within 10-14 days to stand a chance of getting anything close to full strength back in my arm and that was if I was lucky in the nature of the tear. I had been texting you (Coach Philip) during my time at the hospital and you suggested I get in contact with Gordon Bosworth (a top Oxfordshire physiotherapist who had worked with the GB Track and field team in 2012) via email to ask if he could suggest any good local surgeons. I am not really sure why I sent the email when I did. It was 4 p.m. on a Saturday and I was not expecting him to even read the email until Monday at the earliest. It turned out I had the best type of pectoral tear possible (if there can be such a thing!) and five days after the accident I had surgery. I was amazingly lucky. Immediately after the surgery was a tough time for me mentally. I could do very little and the magnitude of the surgery and the rehabilitation ahead really hit home. I remember sending you a message at the time and your response was that I should write a list of “Who is Chris outside of sport” or something to that effect, so I did. This really helped me recenter after the surgery and was another pivotal moment in my rehab because it enabled me to remain in a more positive mindset as I realised that sport was just one part of my life. I had so many other equally fulfilling areas I could focus on and that. for me, was the key to the success throughout rehab. The final pivotal moment in my rehab was the day I got back on my bike. At the time I was only able to cycle bolt upright without the use of my arms. From that moment on, I decided I was going to focus all my energy in getting my legs as strong as I possibly could. This focus gave me a sense of purpose to my training and prevented me from trying to push my arm too hard, too soon, which I think could have been an easy mistake to have made. Philip: How much do you think this injury held you back? Chris: Rehab for this surgery was always going to be at least six months under the watchful eyes of Sharon (who also worked with Gordon) and, yes, in the short term this injury has stopped me from being able to race in triathlon. However, during this time I focused all my efforts on the bike so much so that I was able to progress my bike to a level I never would have believed possible. Since I started running again, it has taken a very short time to get myself back to pre-operation levels. In the swim, by being patient, sticking to the program, and not pushing too hard I honestly believe that I am very close to pre-operation levels, but I am now probably stronger in my “bad arm!” So, in short, I actually feel like I have come out of this injury stronger by being forced to train in such a way that I would have never done had I not had the injury. Philip: What did you learn from the whole experience? Take a step back and focus on maintaining a positive mindset. Make a plan for rehab as soon as possible. This helps keep your mind positive as you feel like you have a process to follow back to full fitness. Remind yourself who you are outside of sport, especially during the early phases of rehab. If possible, build a plan that allows you to focus on other aspects of training in a way you would never have normally done. The end results can be quite surprising. Stay in the moment and focus every bit of energy on trying to be the very best that you can in that moment to progress in your rehab. Stick to the plan. Have faith in it and in the people around you. Don’t push too hard, too soon. Be patient. Remind yourself that nine times out of ten things normally get better. As long as you stick to the plan and don’t do stupid things to jeopardize your rehab, all will be good. I am not saying that this is the approach for every situation and person, but these points are certainly ones I will refer back to in the future when injury strikes again. Chris is being somewhat modest in this interview. After some dominating time trial efforts and time working on track cycling (another new skill), he joined a friend for the Brecca swim-run event which they won. Given that both swimming and running were the last two sports to come back after his injury, it goes to show that if athletes are willing to trust the process and stay positive, it will come good! These sorts of situations can be frustrating. Ironically, with Chris finally returning to the triathlon season in September he attempted the Challenge Almere where, after a bike mechanical, he had pull out. He ran around Mont Blanc the week after with some friends for a birthday party (!?) and in his final race of the season, a local Spanish IRONMAN Distance event, a bike collision meant he couldn’t continue. He still hasn’t finished a triathlon since his injury! Nevertheless, it is pleasing to see his motivation and commitment is stronger than ever. From my point of view, it was important to keep Chris focused on something where he could see progress. If that meant recording range of movement, strength improvements, or otherwise, so be it. He just needed to see he was progressing to the next phase of rehab. It was important to keep his motivation and mentality positive and it was critical to continually reassess what was possible in the second half of the season. In these times of injury, an athlete is likely to be working off of emotions; it is about working out how you, as a coach, can keep things more objective while also being sympathetic. You must also work with your team of specialists. The outcome for Chris would have been vastly different had he not heard back from Gordon straight away. It is times like this when it is great to be working with a world-class team. It seems though that attitude was probably the single most important factor to his rehab. By ensuring his attitude was positive, he could take on whatever seemed to be thrown his way. It is these stories, though they won’t make headline news on any form of media, that will be the nuggets that you take forwards and develop you as a coach. For now though, a tip of the hat to Chris for his attitude to rehabilitation and time to raise a glass to 2019 where hopefully the triathlon gods will let him race again! Philip Hatzis is the founder and head coach of Tri Training Harder, a UK based coaching company with a base in Portugal. 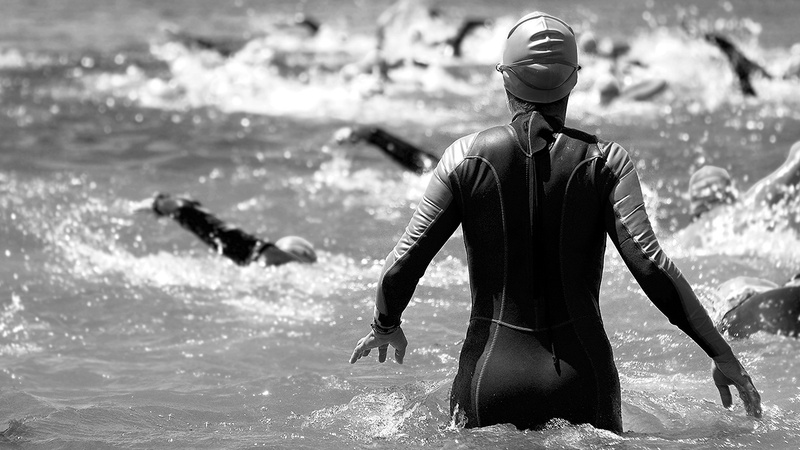 Tri Training Harder believes in preparing athletes for their extraordinary dreams by empowered, highly-skilled coaching. Tri Training Harder helps to put passionate coaches in front of motivated athletes. Receive training and racing tips by following Tri Training Harder on Facebook, Instagram and Twitter.